The last week of October brings All Saints' Day to many places on earth. 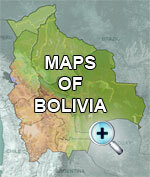 Each family in Bolivia prepares a table with fruit, candies, beverages, food, flowers and different shapes of bread. People get ready to prepare art made from flour and go to the bakeries to prepare the bread dough for many types of bread shaped like stairs, crowns, horses, different sponge cakes and human figures, which are the Tantawawas, and figures of elderly people, which are Achachis. So Tantawawas are a type of doll made of bread dough, adorned with faces or masks that decorate and lend an authentic beauty. The Aymara word achachi means an elderly person. During the period of All Saints, the achachis are black figures of elderly people who are identified as seniors, like grandparents and parents. Tantawawas and Achachis are a short description of the culinary art practiced during All Saints with dough. 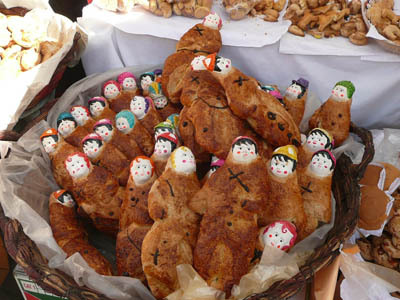 These breads are made both to offer them to the deceased ancestors and to eat them after praying to the deceased. Many people worship souls. This tradition comes from an Andean custom starting on November 1st when candles and offerings are placed to invoke loved ones and their souls. On November 2nd the offerings are taken to the cemetery.